Hey guys my name is Connor and I'm from upstate NY. I'm new to wheel swaps forum and I wanted to show everyone my car. 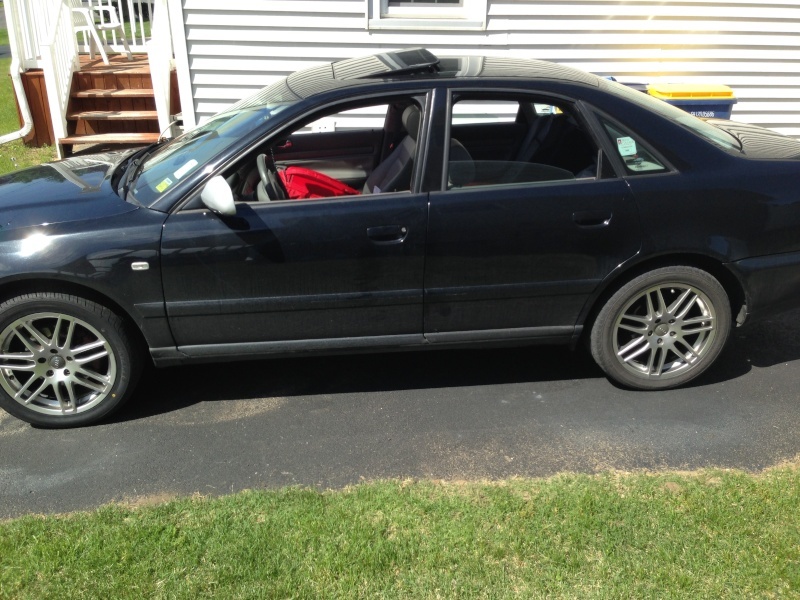 So Here's my 2001 Audi A4 1.8T. It needs a lot of work in my eyes to get it to be where I want it to be. I have a lot of money put into this car just in repairs. My next move is definitely going to be a set of coils because the wheel gap on this thing is nutty.. 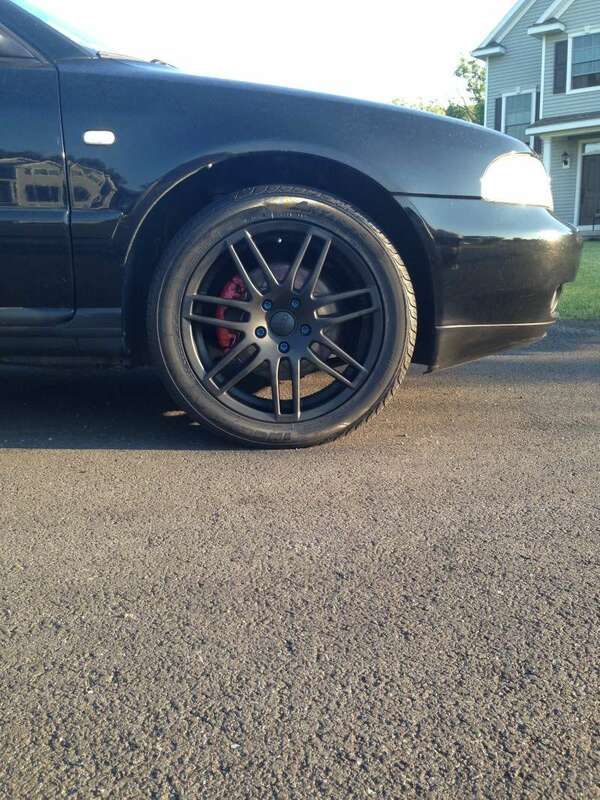 The wheel gap doesn't look too bad in these photos but trust me its pretty bad.. 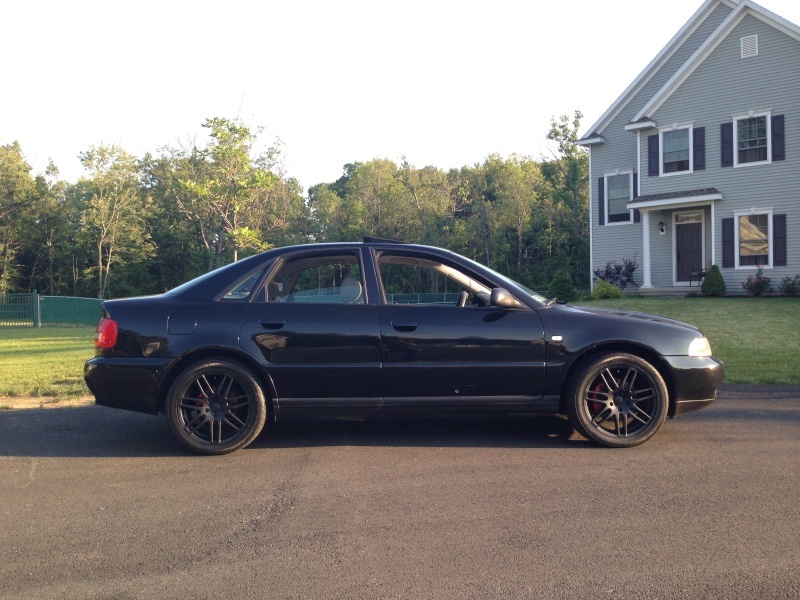 I want to lower it 1.5-2.0 inches come spring time and I also want to throw 15mm spacers on the rear wheels with rolled fenders for a wider stance. I'm not into the whole stance nation side of cars but I do appreciate a nice show car. I've been seriously contemplating selling or trading my current wheels for something new so if anybody is interested in a trade PM me and we can talk. Offset: 5x112. My bad I just wrote on your other post that I would love to see her, but glad you posted her. This post is posted on our feed page. Welcome again! @TeamWS wrote: My bad I just wrote on your other post that I would love to see her, but glad you posted her. This post is posted on our feed page. Welcome again!